BlackBerry users won’t have to use an outdated-looking web browser no more after BlackBerry get released. A video comparison of the BlackBerry 10 web browser with Safari on iPhone 5 running iOS 6 and HTC Windows Phone 8X on Windows Phone 8’s Internet Explorer. 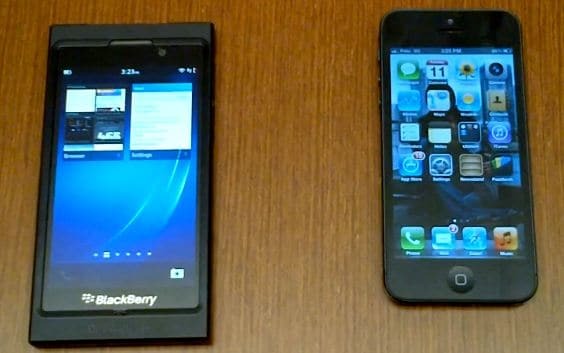 The video demonstrates that BlackBerry 10 web broswer render pages faster than both devices. The BlackBerry 10 phone in the video is a Dev Alpha B smartphone. All devices were connected on the same 3G Fido network.